Find your Las Vegas Dealer or have product shipped. Thank you for visiting our Las Vegas, Nevada Dealer's Listing! We are right here in Las Vegas. 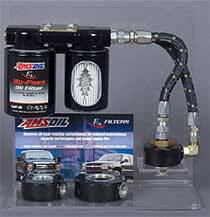 I generally stock the most popular items and provide service between you and our Amsoil distribution center. You can depend on us after hours and weekends. If you plan to use AMSOIL often or use it exclusively you are better off joining as a Preferred Customer. This gives you access to the Vegas warehouse on North Lamb. You can sign up directly online using the Preferred Customer form here. Call Nick for fast AMSOIL service! Serving the following areas in and around Las Vegas: Parhump, Laughlin, Kingman Arizona, Boulder City, Ely, Henderson, Indian Springs, Primm, and Barstow . Please leave a message if we don't answer - Nick will call you back! Thanks for stopping on my Las Vegas, NV AMSOIL page! We are here to serve you with the greatest courtesy and service. My name as you can tell is Nick and I assure we will be your first and only stop for your synthetic lubricant needs. If we don't answer the phone, please leave a message or email. If you don't get a reply within a reasonable amount of time call our supply house at 800-579-0580 and let them know you first landed here at Nick's page. 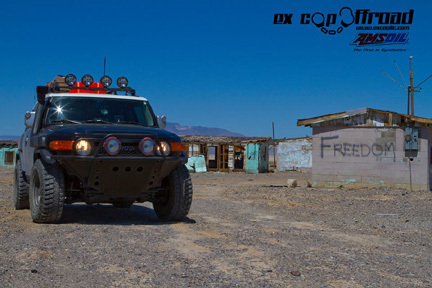 "We at ExCop Offroad recommend Severe Gear 75/90 for all off road applications, especially in the Toyota Tacoma and FJ. This is a "one stop shop" lubricant that works in the front and rear differentials as well as the Transfer Case and the 6MT transmission. We have evaluated multiple oil analysis from customers utilizing Severe Gear in a wide range of operations from extreme off road usage to highway driving and feel confident that this is the best gear lubricant on the market. " But the core of our customers in Las Vegas are average commuters and commercial businesses looking to cut costs in fuel and average vehicle life. Texans are fans of AMSOIL!! It delivers. It makes their machines really perform and when someone brags about their so called "better" oil, sooner or later the tests come out showing that product was nothing more than a name.. Or what Al calls "A Johnny Come Lately!" Did you know most of the testing AMSOIL publishes all the way back from the early 70's were done right here in Las Vegas? At the Southwest Research Institute (SwRI) which has even stretched the limits of many tests beyond proving AMSOIL is really what founder Al Amatuzio set out to accomplish - The Best! Local Las Vegas demand has created a great need for AMSOIL dealers in this area, especially in the rural outlying areas (if there are any anymore). You get excellent support from myself as I am part of one of the most resourceful AMSOIL dealer groups in the country. We can send local and web generated leads your way. The #1 question we get from local customers is, "Where can I find AMSOIL here in Reno?" or any other city. 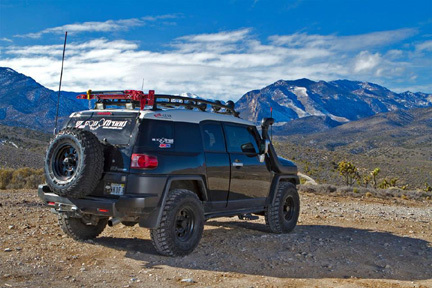 Our distribution center can quickly have your product anywhere whether you need 2-cycle for your dirt bikes or ATV oil, or if you have a weed eater you need to last in the dusty seasons of the Nevada range.